The Samson 3.5x magnifier and RAM base combination features the rotary actuated mount base and patented push button fliptoside action and clear crisp high quality glass with excellent color preservation characteristics. 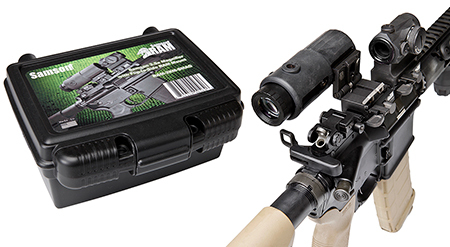 It is specifically designed to meet the demands of high level operators and law enforcement professionals. At 35mm the magnifier accommodates a larger range of optics with greater light transmission and reduced edge distortion.